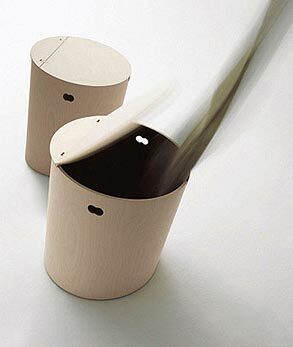 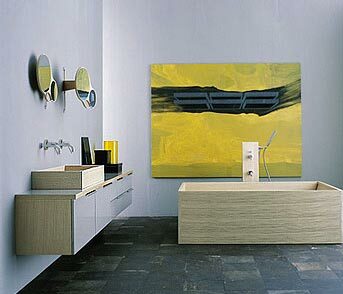 By identifying a gap in domestic interior design, Agape found the opportunity to rethink the nature and arrangement of spaces dedicated to personal hygiene, introducing into the bathroom forms and materials already familiar in other domestic spaces. 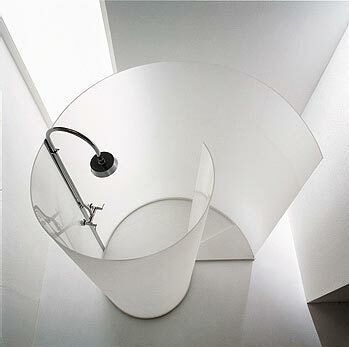 This reconceptualization which is at the heart of Agape's philosophy reaches across the spectrum from form to function to meaning. 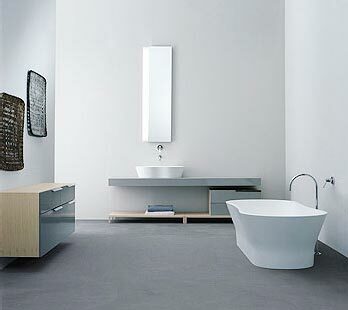 Please click the link to find more about our US showrooms. 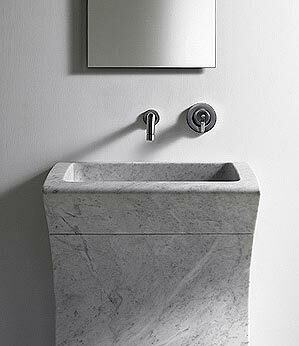 Lito 3 2003, A.Mangiarotti - The free standing washbasin is carved out of a single marble block, which conceals the drain trap. 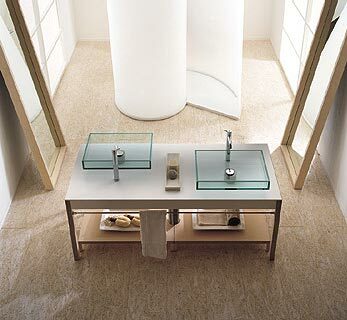 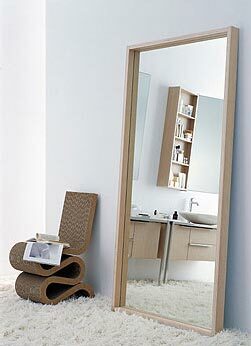 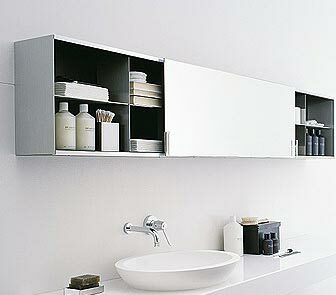 Minuetto - Countertop in glacier white Corian for crystal glass or wood washbasin. 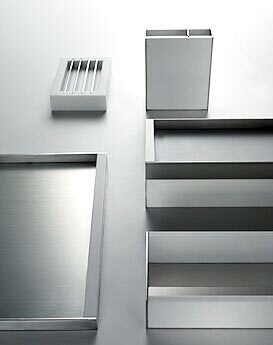 Chiocciola - Shower with matt finish PARAPAN and shower tray in "Exmar" in two satin finishes: white or sand. 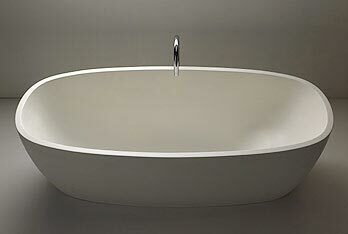 Deep - Bathtub made from Exmar.